The Steele family reading books together. 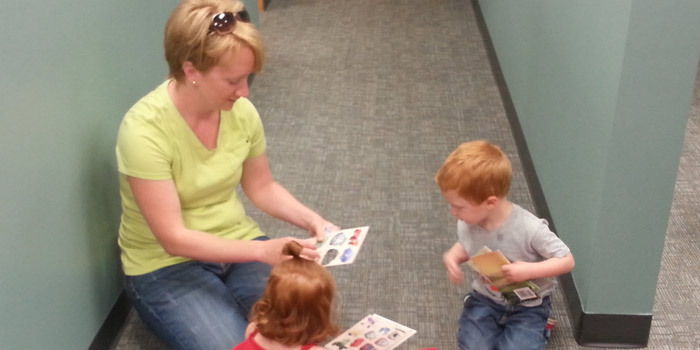 WARSAW — Hoping to expand literacy in adults and preschoolers across Kosciusko County, Kosciusko Literacy Services has been working with other agencies to develop the skills need to grow. KLS provides free books for children living below the poverty level every month. Over the past year, around 550 children per month have received free books. Parents are also encouraged to read regularly to their children, helping them develop language and reading skills. Additionally, KLS provides one-to-one tutoring for adults at no cost and literacy and workplace classes at the Gateway Education Center. Throughout the year, KLS holds author dinners to help raise money. Coming April 14, an author dinner will be held to celebrate the works of Edgar Allen Poe. To donate to KLS, you can send a check to 201 N. Union St., Warsaw, or visit their website. KLS is a non-profit organzation and donations are tax-refundable. You can also promote literacy in Kosciusko County by volunteering as a tutor or reader, conducting a book drive or sponsoring a child in the children’s book club. To learn more, visit kosciuskoliteracyservices.org or call (574) 267-5380.